Tale of the Brave is a 35 piece jigsaw puzzle from Ravensburger featuring this exciting scene from Tale of the Brave - The Movie! 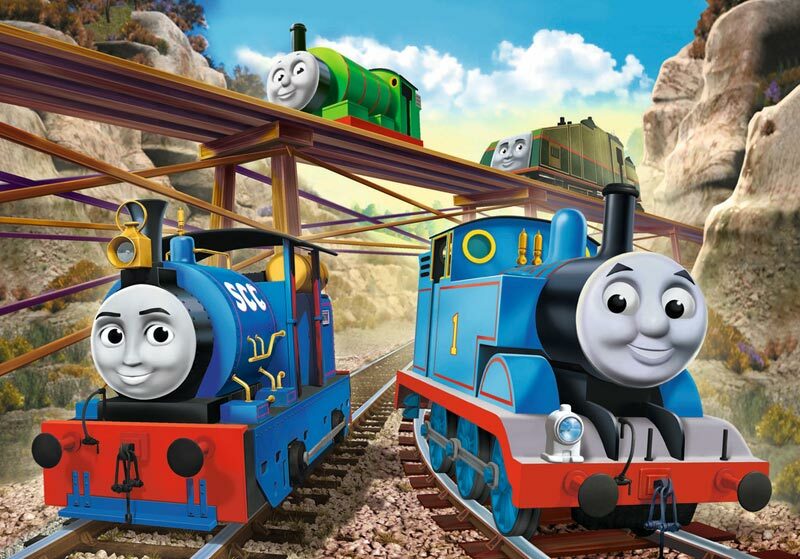 As kids enjoy assembling this puzzle, Thomas, Percy, Timothy, and Gator are revealed gliding down the rails and through the clay pits. Puzzle measures 10" x 7" when complete. My son loves put puzzles together and especially he loves Thomas and his friends! I am very satisfied with the service you all give to a customer. We have never been disappointed. Thank you for a job well done.